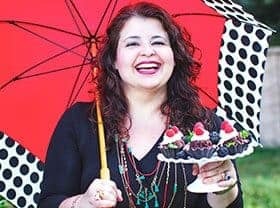 Home > American Recipes > Healthy Breakfast on the Go — The Latest Brazilian Thing! Healthy Breakfast on the Go is the latest Brazilian thing! Just like Americans and many other people in the world, Brazilians are getting busier and busier. Many cannot afford to sit down and eat breakfast before heading off to work. Because of our crazy traffic, many have to leave home earlier and earlier. Our breakfast on the go is a complete meal stored in a jar that requires no cooking at all, and can be prepared the night before and refrigerated, making it easy to transport to work or any other place. It can also be eaten at lunch time, if desired. You can customize your breakfast or lunch according to your diet and needs. 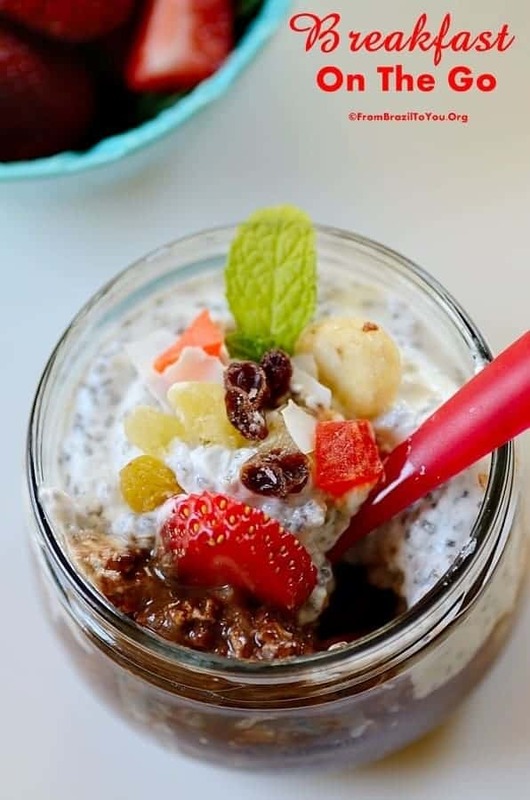 You can try this and many other versions combining oats, granola, quinoa, cooked tapioca, peanut butter, nuts, seeds such as chia, pepitas and sunflower, fruits both fresh and dried, and high protein, low sugar yogurts (and if you are sensitive to dairy, soy yogurt for example). You can also store in a jar or lunch box salads made from whole grains, legumes, vegetables, fruits, nuts, and seeds to take along with you. All that you will need is a refrigerator to store it. Another advantage is you will be taking with you just the right sized portion, avoiding overeating and excessive snacking. Our Breakfast on the Go is a healthy and quick meal stored in a jar that can be easily transported to work or any other place. It requires NO cooking and is also great for a quick lunch. In a plate or bowl, mash the banana with a fork and mix it with cocoa powder, oats or granola, and nuts until obtaining a homogeneous mixture. Divide amount and place into 2 sterilized jars. Place strawberry slices on top of the banana layer. In a separate bowl, mix yogurt with honey and chia seeds, and then place on top of the strawberries. Garnish with the dried fruit mix. Place the lids on and keep refrigerated for up to 2 days. It can be transported to work and other places, and eaten chilled either for breakfast or for lunch. Woow, this is great just any time of the day, really so delicious and perfect. The whole planet is in overdrive! Yet we all need a healthy breakfast to begin our days. Making breakfast the night before is genius, especially with such wonderful flavors! Being able to prepare it the day before makes this recipe even better! It’s a super healthy and beautiful breakfast. I love how you’ve used small jars for on the go, genius. My family enjoys chia puddings, and have started making them more often. It’s always nice to see variations to this my dear. What is going on in the world? Here is Peru is the same thing, time runs veru fast in the morning we have less and less time to have breakfast. You’ve packed an awful lot of flavor into this dish! Loads of good — and healthy — stuff here. And the portion size is just perfect — really smart on your part. Thanks for this. Wow. VERY useful recipe, an idea you can immediately try, full of healthy ingredients. 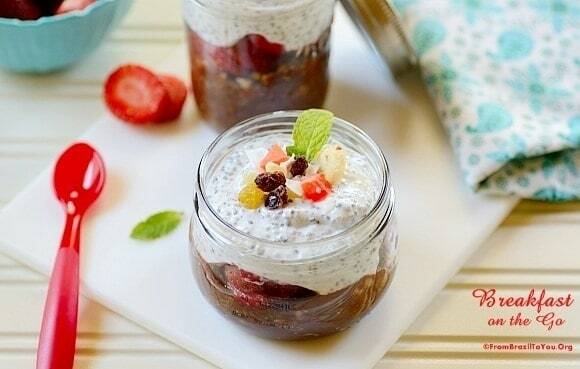 We loved your fantastic idea of mixing Greek yogurt with chia. A healthy superfood breakfast! Plus, it’s so delicious! Thanks so much dear Denise! oh! I want a breakfast like this so bad! Looks amazing! Great idea! That first layer of mashed banana, cocoa powder, nuts, and uncoooked rolled oats sounds wonderful on it’s own – but with the strawberries and chia-yogurt – this is EPIC! Perfect to eat while stuck in traffic! Denise, these are the best thing for breakfast! Lots of flavors in one jar! 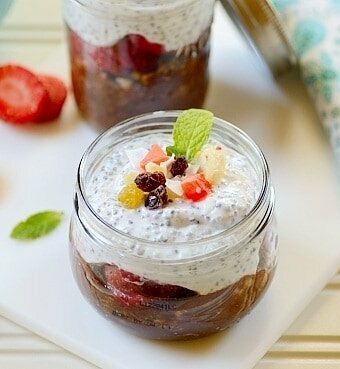 I loved the dried fruits and chia seeds with yogurt! Mmmm!